We’d love your help. Let us know what’s wrong with this preview of This Changes Everything by Sally Ember. Are YOU ready for the changes? The five alien delegates from the Many Worlds Collective (MWC) come in hologram form to the selected liaison for Earth, Clara Branon, Ph.D., 58, for the first time on December 21, 2012, after several millennia of mostly secret visits and contact with Earthers. Members of the MWC InterGalactic Council decide that a liaison, dubbed the Chief Co Are YOU ready for the changes? The five alien delegates from the Many Worlds Collective (MWC) come in hologram form to the selected liaison for Earth, Clara Branon, Ph.D., 58, for the first time on December 21, 2012, after several millennia of mostly secret visits and contact with Earthers. Members of the MWC InterGalactic Council decide that a liaison, dubbed the Chief Communicator (CC) must be contacted and that this contact must be made public in order to avert multiple types of disasters on Earth. After the MWC educational resources and information become widely available, in 2013, all time is now known to be simultaneous. Writing from any point in time and timeline means that the love story and other aspects are depicted in multiple versions. Will Clara and her love, Epifanio Dang, be together? Which Re-set of the Transition After Public Contact prevails? Tone is humorous/serious; mode is utopian. Narrative and themes include history, poetry, literature, music/lyrics, science and technological advances, psi phenomena/ paranormal skills, law and government, Buddhism and other religions, meditation, social-emotional intelligence, multiverse/multiple timelines, time and space travel, interspecies communication, and social/futuristic depictions of the Earth, post-MWC public contact. Sci-Fi/Romance/Speculative Fiction, Adult/ New Adult/YA genre novels are in the 10-volume series. Volume II, "This Changes My Family and My Life Forever," releases in Spring, 2014. Appendix A has annotated descriptions for all 10 volumes; App. B & C are Glossaries. App D. lists the actual individuals referred to in the Volumes, annotated. App. E is the Branon-Ackerman Family Tree. 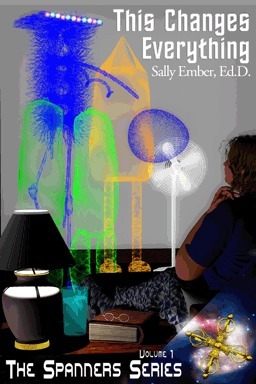 Published December 19th 2013 by Sally Ember, Ed.D. To ask other readers questions about This Changes Everything, please sign up. After having completed Sally Ember’s “This Changes Everything”, I immediately reached out to the author. Here’s the thing, from the beginning of this work, I couldn’t help but doubt all that I know to be true. From the very existence of alien forms, multiple timelines, alternate universes, the idea of being able to reset events and so much more. As a matter of fact, in preparing my review, I almost referred to Sally Ember as Clara Brannon. I’ll explain. What Ember has created is a fascinating con After having completed Sally Ember’s “This Changes Everything”, I immediately reached out to the author. Here’s the thing, from the beginning of this work, I couldn’t help but doubt all that I know to be true. From the very existence of alien forms, multiple timelines, alternate universes, the idea of being able to reset events and so much more. As a matter of fact, in preparing my review, I almost referred to Sally Ember as Clara Brannon. I’ll explain. What Ember has created is a fascinating concept that addresses the what ifs of the world that we know. Not only has Ember written an exceptionally detailed Science Fiction novel that incorporates all the proper elements, she’s brought it to life in a remarkable manner. “This Changes Everything” does not follow a standard outline for a novel, as it chronicles the experiences of Clara Brannon. The writing is very complex, causing readers to pay close attention; however, it is very intriguing. As we learn of Clara’s role in being contacted by the aliens and being a sort of advocate. The foreign bodies, that appear as holograms, have been observing the goings on of earth. And apparently, now is the time to be known and for things to be brought to light. Clara records everything that is taking place, so one must be careful to pay close attention to the various shifts and settings. The layout of this work documents the entire experience on different levels, because it is multi-layered. Ember’s well-researched project is clearly an enhancement to the genre. It’s highly-imaginitive, but for so many different reasons, and outside of the normal scope. There are times when I felt that I was reading an actual research report of true to life events. Honestly, I’m sitting at my laptop, questioning if Clara has provided this work to Ember, or if the two are one in the same. The experience is mind-altering, and would challenge readers to think beyond the bubble that we live in. I would surely recommend “This Changes Everything” to anyone that enjoys a a well-written and researched Sci-Fi series. I will point out that it pushes the envelope, and toys with one’s perception. Well done! I'm lying a little bit here, as I did not finish this book. Chalk it up there with the two other tomes I've ever put down and not picked back up. This thing is horrifically written. I made it all of 10% through the book and gave up, because I don't have time in my life for this. The main character, who is supposed to be a liaison between aliens and earth talks like an ignorant teenager ("humans have always been massively violent"), the explanaitions of the multiverse are slipshod at best, and whe I'm lying a little bit here, as I did not finish this book. Chalk it up there with the two other tomes I've ever put down and not picked back up. This thing is horrifically written. I made it all of 10% through the book and gave up, because I don't have time in my life for this. The main character, who is supposed to be a liaison between aliens and earth talks like an ignorant teenager ("humans have always been massively violent"), the explanaitions of the multiverse are slipshod at best, and when naming aliens perhaps going above and beyond Mick and Janis would be good. I was recently given a pre-pub e-copy of This Changes Everything (Volume 1 of The Spanners Series) in exchange for an honest review. What if the world as we know it isn’t exactly as we’d always believed? What if we’re not the only sentient beings in the universe? What if the universe were not “only” a universe, but a “multi-verse” where many timelines occurred simultaneously? The book’s title really says it all: this changes everything. Clara Branon is visited by the holograms of alien beings one I was recently given a pre-pub e-copy of This Changes Everything (Volume 1 of The Spanners Series) in exchange for an honest review. The book’s title really says it all: this changes everything. Clara Branon is visited by the holograms of alien beings one night in her home, and her life from that point on is forever changed. She’s chosen as Chief Communicator, the contact person between the Many Worlds Collective and the Earthers, as they’re known by other species; it becomes her job to tell the rest of the world about the MWC and to help them accept it in order to transform our world into a better place for future generations. I like the way opportunities for “re-sets” are available—how many of us would go back and change certain events if we could?—but are also shown as not always being the best option. Our life experiences shape us into who we are, after all, and if one or more of those is altered, we may not get what we want in the way we think we want it. I also appreciate the nods to authors like Douglas Adams, with the language-interpreting “fish” reminiscent of the Babel fish in his Hitchhiker’s Guide books. Because Clara is writing/telling of the events occurring in multiple timelines, all the narrative is in the present tense, even for past or future events, which, as an editor, drove me crazy at first. Eventually, I got used to it, but it was occasionally a distraction…after all, past events require past tense verbs, unless the past is happening during the present or the future, in which case...oh, forget it. You’ll get used to it too, after a few pages. At times felt like it had a definite political slant, with a lot of liberal push, demonizing those who are staunch in their religious or moral beliefs as inflexible and unenlightened, classifying the wealthy as greedy, etc. I have to admit, I didn’t really care for that aspect of it, but that reflects my own personal beliefs and has nothing to do with the quality of the book itself. The novel also has a lot of Buddhist practices and teachings in it, including reincarnation (or ReInvolvement, as the MWC refers to it). I feel the need to mention these things because they’re so present within the book, and many readers prefer to be made aware of any controversial topics or religious leanings prior to reading. There were parts that really tickled me, such as the explanation of crop circles: teenage alien graffiti, not much different than Earth teens taking a joyride and spray-painting the sides of bridges or boxcars, then racing back home before the authorities catch them. A recounting of an exchange between Clara and her son, Zephyr, over speakerphone had me giggling out loud, because it reminded me so much of phone conversations with my own mother. The writing is complex and done extremely well. I didn’t see an editor listed, and I’m happy to say that Ms. Ember is excellent at self-editing. Grammar, punctuation, and spelling were non-issues, which was very refreshing in an indie book. There were times when I almost forgot I was reading a work of fiction and not a news account of real events, and I would consider that to be skilled writing indeed. Because different book sites have different meanings to their ratings, I think of the star system as looking at a scale: did I enjoy more of it than not? Yes. Four stars. Did I like the overall content? Most of the time. Three stars. Was the writing of good quality? Oh, definitely yes. Five stars. My overall rating: four of five stars. I have finished the book and have to say it one of the most challenging, exciting and original book I've read. To any one thinking of dismissing it as 'odd or disjointed' it well repays reading on. Try it! This Changes Everything by Sally Ember is a sci-fi epic that takes the science to a new level. It centers around a heroin who has been selected to learn the secrets of the universe, and to spread that knowledge to all mankind. The idea is solid and Ember manages to incorporate and write in the concept of multiple universes/timelines into the book. It seems, at first, to create a story filled with confusion, but everything is written seamlessly and is relatively easy to understand. I recommend this This Changes Everything by Sally Ember is a sci-fi epic that takes the science to a new level. It centers around a heroin who has been selected to learn the secrets of the universe, and to spread that knowledge to all mankind. I recommend this to anyone looking or a unique, well-written sci-fi epic. It's a little more detailed an has some things that I feel are pros and possible cons to reading this story. Absolutely awful. Terrible writing, completely unbelievable in every way and so far up herself I couldn't stand it. I lost an hour of my life. Every once in a while, I feel like I have to break the rules set down for me by the Starving Reviews, LLC corporate office. So far, I have restrained myself because, well, I'm starving, darn it! I need this literary sustenance to flow and I dare not cut off my biggest supplier. Today, though, I may wind up breaking that creed, as today's long-delayed culinary snack can't be dissected without some SPOILERS! The writing itself is solid, at least once you get used to the various styles employed. The book is comprised of many nuggets of scenes, each written in a different style and from different view points. It can be a bit jarring at first but is easy to get a grip on once you realize what's going on. The plot ... has problems. The majority of the rest of this review will touch on that, but let me get one thing out of the way. If you ever wanted a true definition of a Mary Sue, read Changes. You see, the Mary Sue concept isn't one of abilities or perfection (though those help), it is the plot black hole they represent. The protagonist in this book is the most important person in the world (literally), receives almost universal praise from most quarters, gets pretty much everything she could desire, lives happily ever after, and nothing really bad, dramatic, or dangerous really happens. There is the hint of tension at several points but, as described below, there are certain story and structure elements that destroy all the drama before it even has a chance to start. The problems start to come in when the concepts of the 'reality' of how time and history work in this universe. The core concepts of the book (that all time exists simultaneously and that time lines can be altered and culled by anyone with the appropriate psychic training) do provide some interesting promise, but the way they are actualized in the story create a rolling cascade of issues that really break the book down as a fictional slice of cake. It boils down to a few major, seemingly paradoxical, concepts. First, the concept of all time being simultaneous doesn't really hold out in how the events of the book work. The aliens, and later Earthlings, can alter time by changing events (which don't often require them actually doing the actions, which is strangely dissatisfying) ... but how does that work when all time is simultaneous, which suggests there cannot be true causality? Likewise, the book repeatedly talks about the existence of free will, but how can free will truly exist in a world where others can reset and alter their personal time lines, altering entire sequences of events, thereby altering those free will decisions? Finally, there are strange arbitrary limits on how often people can alter their time lines, with no mention on how this is enforced or even known to be. Maybe it's something touched on later in what is supposed to turn into a ten book series, but arbitrary, unexplained limits on what is essentially a 'magic' system in a fictional world is always a bit of a distaste for me. The main story issue that this concept of time and time altering brings about is the total destruction of dramatic tension. Very early in Changes, we already know, from the characters that can see the future as well as future documents included, that everything turns out A-OK. The girl gets the boy, Earth turns out fantastic, and the main character gets a healthy, happy ending. We know this by (if I remember correctly) chapter 5 of a 30+ chapter book. Yes, you can argue that the meal can be no less tasty when you sneak in dessert early, but that's usually not the case. Knowing everything turns out great turns every attempt at adding some drama or tension to any point of the novel fall flat. That is a key component of what really leeches the taste out of Changes. I could excuse the very strange time alteration parts (it is a fictional universe, after all) and roll with it, but the lack of dramatic tension, the lack of any real conflict and consequences (something that the writer tries to interject with the idea of 'Psi-P', the emotional backlash of choosing to go with time-lines that benefit others but are not the best for you personally, something that never gets written to have the real impact it could), just makes Changes a sludge of a book. It is simply tiring to read, with no real emotional high or pay-off. It's just not entertaining and that is the biggest sin a work of fiction can have. The aliens in this world alter time repeatedly to change human history to make the Earth a better fit for their galactic collective. They banish people unable to conform with their way of doing things to a 'prison' alternate time line until they reform or die. They alter the biochemistry of the ENTIRE human race in one chapter to make them more receptive and peaceful without the consent of, well, anyone. They are fully telepathic and casually mind-read the main character (and the rest of humanity) for most of the book. In a different book, these aliens would be the worst kind of manipulative overlords. In this book, though, they are perfect, wonderful utopians. I find especially that their methods really don't jive with that 'free will' concept. How can you have free will when aliens are altering your biochemistry, psychically manipulating you, and implanting thoughts, dreams, and knowledge into you? Wow, that went on for a while. Okay, so, how does this come together? This Changes Everything is a science fiction yarn that just has no drama or fun in it. Regardless of how you may feel about its philosophical or moral points, Changes breaks the cardinal rule of any fictional work, and that is to entertain. If you're looking for good, interesting sci-fi, look elsewhere. If you, however, are looking for a very unusual tract on philosophy and morals, you might want to give this a read, just don't expect to be entertained by it. This is one of those strange books that was, on the one hand, difficult to read, but on the other, fascinating. The basic premise is that a school teacher deeply involved in Buddhism (and who accidentally views parallel and potential realities) gets visited by representatives from the MWC, a vast community of intelligent species. She is chosen as their chief liaison to the human race since, given the state of the Earth, they doubt Earth can survive without immediate intervention. The book deals with interesting subjects ranging from alternate realities, reincarnation, some fairly trippy interpretations of science, and alien life that’s truly alien. It has a substantial number of problems, however. The pacing and presentation of the material made it difficult to read, a decent number of the author’s viewpoints get presented a bit too on the nose, and the author plays with the fourth wall too much for my tastes. First, the whole idea of aliens constantly resetting small chunks of the universe to try and get the best outcomes for everyone involved is downright cool. This book treats parallel universes as a given and goes to great lengths explaining the different ways the MWC plays around with them to create a greater galactic society. It’s always interesting when a book decides that alien life is not only friendly, but has a utopian agenda. Second, when the presentation of the material works, it’s a very unusual take on things that I found enjoyable. My favorite part is still a council meeting in which MEMBERS of the MWC discuss how they intend to handle the advent of nuclear power on earth. That, as well as how they handle religion, involves sleeper agents, reality resets, calculating probabilities, and a whole host of funky stuff that’s quite interest. That being said, the presentation didn’t gel with me too often. The book had so many different styles and trains of thought going at the same time that it ended up feeling like more of a scrapbook than a novel. The author jumped between characters frequently, had a large number of different formats for each chapter of the book, and never quite settled on any one. It made the overall book difficult to read, although any individual section might be interesting on its own. This book would have benefited from picking from a couple of different styles for the chapters (such as the MWC meetings to determine the fate of Earth) and the ones focusing on Clara, rather than jumping around as much as it did. Also, this disrupted the pacing of the book. The moment one train of thought got developed, the author switched to a different one. There was never a point where the chapters flowed together. There were a series of chapters that, had they been back to pack, would have flowed nicely, but they were divided up and scattered about the book. It’s not that I don’t think this style of writing can work, but it’s tricky to do, and it never quite came together for me. The plot never quite hit the point where there was enough conflict to really grab me outside of my intellectual interest in what was happening. The major conflict in the book boils down to Clara coming to terms with being the most important person on Earth and not being able to be with the man she loves. All of this, however, plays out in little drips, and the level of tension never picks readers up and carries them along. I also think the book would have worked better if the author had focused on how Earth was changing in more intimate detail, dropped a lot of the other material, and followed Clara closely as she dealt with these changes. As it is, she’s a bit detached and removed from it all. Sure, there’s a lot of interaction with her family, speeches, and stuff like that, but the book never shows me something like how, say, a Muslim living in a German slum’s life changes. I wanted Clara to be the vehicle for the personal stories of how the world changes rather than the detached narrator. Another problem with the book is that, it’s clear either the author, or the character, or both, have very fixed political viewpoints (some of which I don’t even like to call political, because they’re, ahem, just what any human being with a soul should support). These viewpoints get thumped onto the reader without any serious discussion of the opposing viewpoints. It’s not a terrible thing, but the tone and presentation of these viewpoints can rub a reader the wrong way, especially as they build up over the course of the novel. My final criticism is that the character seems to be a different version of the author, but more so than is usually the case. That, combined with the way the author presents the book (she plays with the fourth wall extensively) made me a bit uncomfortable. It’s not that I feel the character was a Mary Sue, it just did not sit well with me. Maybe in a short story, a comic, a movie, but in a book, I really like the book to be a new world, and any reference to it just being this one, that reminds me I’m reading fiction, tears me out of it. It’s a personal thing more than anything to do with the quality of the book itself. In summary, this book never flows together into a focused novel, which is unfortunate given how interesting the subject matter is. It does, however, present enough fascinating ideas and viewpoints to partially redeem its shortcomings. I’d almost recommend treating it like a scrap book and picking out the various chapters that seem to interest you, rather than reading it cover to cover straight off the bat. All told, I give it a 3/5. Finally, a Sci-Fi Series that is not exclusively aimed at teenager. Don't get me wrong, there is a market and this book can be read by everyone. But it does challenge you mentally. What I like is that the main characters are not teenagers caught in some intergalactic wars. Dr Clara Ackerman Branon, a middle aged Ph.D. school teacher, narrates the book (in most parts). She gets contacted by aliens from the MWC = Many World Collective. Led, Mick, Ringo and Janis - Diana (as Clara names them *geddi Finally, a Sci-Fi Series that is not exclusively aimed at teenager. Don't get me wrong, there is a market and this book can be read by everyone. But it does challenge you mentally. What I like is that the main characters are not teenagers caught in some intergalactic wars. Dr Clara Ackerman Branon, a middle aged Ph.D. school teacher, narrates the book (in most parts). She gets contacted by aliens from the MWC = Many World Collective. Led, Mick, Ringo and Janis - Diana (as Clara names them *geddit? *) appear to Clara in her bedroom as holograms and tell her that she is chosen to be earth's first Chief Communicator with the MWC. They have come to prepare earth for membership of the MWC. Clara is not too spooked by their appearance, as she had visions since childhood. For me, she is a very likeable character and I took to her straight away - she has a great sense of humour. These aliens are actually friendly, and want to help earth and all its inhabitants (and that incl human and all other life) to live peacefully together. Reference John Lennon and "Image" here! Being aware of everything that went on at earth, they feel now the time is right to come forward and help earth with its transition to a more peaceful future. While the book in most parts is narrated by Clara, the chapters are also interlace with interviews, press conferences and diary entries written by others. This may sound confusing and it was at first when I read the contents pages. But the title of each chapter, whilst long, explains exactly what it is, so you will always now where and when you are. And there are a lot of ideas to take in, so a very helpful section at the end explains main phrases / concepts / abbreviations. But while it challenges your reading experience, it is not difficult to get your head around the ideas presented here. I found the idea that the MWC have been watching earth and are responsible for some of the disasters on earth (when things have gone wrong…) thought-provoking and absorbing. The concept of 'timulting' was more difficult for me to take in - Clara (and others) can see different timelines at any one stage. And than there is Clara's love interest Epifano whom she is / isn't married to depending what timeline she is in and I struggled a bit with it. But I think I 'got' it at the end. I loved the idea of a 're-set' on your life where you can change an event once. For Clara, that was the fact that she had a car accident as a teenager which left her with a degree of disability, which than ruled her life. When she can 're-set' this event and watches how her life plays out without this disability in a different timeline, she realises that she would certainly be more outgoing, but the life of those around her (mostly her son) would also change significantly - at a price. Loved that. So, would you 're-set' if you could? This book is the foundation for the Spanners Series, and while I understand that the following books can be read independently, I really think one ought to read Vol I to get the main ideas and concepts on which the author can now build upon. There is certainly a lot of scope to develop the ideas introduced in Vol I. As I started reading this book I was extremely confused. The initial writing style is uniquely jumbled and somewhat difficult to follow. However, I believe that this is somewhat intentional based on the first concept initiated within the story—everything happens all at once. Time is not linear, but expansive. Once I understood that this was one of the major messages being shared within the book (note, I do not believe that sharing this will be giving a spoiler as it’s pretty clear within the fir As I started reading this book I was extremely confused. The initial writing style is uniquely jumbled and somewhat difficult to follow. However, I believe that this is somewhat intentional based on the first concept initiated within the story—everything happens all at once. Time is not linear, but expansive. Once I understood that this was one of the major messages being shared within the book (note, I do not believe that sharing this will be giving a spoiler as it’s pretty clear within the first 25 pages) the strange manner in which the story, itself, as written, makes perfect sense. Although I do not predict this story will become a mainstream success, it will definitely appear to a certain subset who have an interest in discussing the possibilities of linear time and alien interaction with what Sally Ember has labeled as “Earthers”. The concepts that the author discusses certainly align with some of my own beliefs and, perhaps, this is what kept me turning the page to see the direction in which the story would lead. By page 36, I was glad that I did. It was around this time that I started to enjoy the spin the author put on past events, giving them flavor that played well into her vision of the purposes of past alien encounters. I will say that what I enjoyed the most about the book was the main character’s interaction with both “The Band” and her fellow humans. The interactions gave ground to the underlying plot, taking it from something akin to a research paper and back to the world of storytelling. I especially liked the fact that not all of her family is receptive to the sudden announcement of the other world visitors and her realization that, perhaps, she’d best prepare some of these people for the publication of her visits to the world at large. I won't put a note because I was unable to finish the book. I believe (but I am not sure) that my english wasn't good enough to understand everything. I think that the writing didn't helped me neither but I can't say for sure. Clara, kind of a psychic, have a lots of hallucinations (in the dark) and ears voices. One night, the voices won't shut and the reason is simple: This is not a ghost this time, but E.T visiting her. She is to become the CC (Chief Communicator) of Earth with them (because they are many races). If you don't like my comment with (things like this, parenthesis) you will have some issue reading it. You will have issue reading it. And finally, If you don't like lists containing history name of people that were manipulated by aliens, you will have issues too! If you ask me, Sally Ember is really attracted by Buddhism and meditation. It was a little too much for my taste, like if she was trying to convert me to it. Now the good stuff. I think that she had a lot of fun writing it. She knows when she is doing something bad and do it in purpose. For example I was surprise to see how easy Clara took all the E.T thing and I really disliked it. Next chapter you will see that Sally KNEW people won't like that. That's fun if you do it for the good reason. Assuming that the time is not linear and trying to write something in-between is challenging and should be interesting. I was unfortunatly unable to follow. Finally, and because I only read 10% of the book, I think that it will make people think a little. When she knew people won't like it, she did it with explanation both from and outside the good (I mean, as an author). I don't want to make some advertising and it's not my purpose but it seems to be free on kindle. Why I stopped reading: It was too much. There were too many characters, too many acronyms, too many tenses. Too much of me wondered which reality was true – the one where “Clara” writes a fictional account of her alien encounters, the one where “Clara” writes a true account of her experiences, or the one where Ms. Ember struggles so much to find the truth that we, as readers, are left to question her own sanity. I’ll say this: either Ms. Ember is an absolute genius, or she’s in need of some serious psychotropic meds. I was only part-way in to chapter three, but I’d already waded through too many “Chapter Interludes” to keep the plot straight. The most I can tell you is that “Clara” seems to be in contact with some alien life forms, who encourage her to believe that everything is happening all at once and that she should write her possible-biography/possible-novel (however confusing it might be) in the present tense. Clara also seems to lack the ability to prioritize – her examples all include gratuitous examples, and goodness help me I had no idea what I was supposed to pay attention to (and yeah, I know I ended that sentence with a preposition). There might be more plot. It might be awesome. But, for me, there was too much EVERYTHING ELSE. 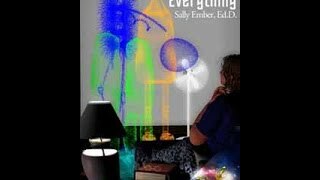 This Changes Everything by Sally Ember is a fantastic science fiction read. Her characters are well rounded and strong. The main character, Clara, is chosen by a vast community of intelligent species (Aliens), to be their chief liaison to the human race. The aliens in this book are friendly and have come to help the people of Earth, rather than trying to take over it. This book is not a light read. The reader must pay close attention to what is taking place to keep up with the story. The reader h This Changes Everything by Sally Ember is a fantastic science fiction read. Her characters are well rounded and strong. The main character, Clara, is chosen by a vast community of intelligent species (Aliens), to be their chief liaison to the human race. The aliens in this book are friendly and have come to help the people of Earth, rather than trying to take over it. This book is not a light read. The reader must pay close attention to what is taking place to keep up with the story. The reader has to think with an open mind and will find that everything flows, reverses, and fast forwards in an easy and understandable story. The aliens, from many different planets, bring some cool technology and perks with them. Through Clara, they attempt to introduce these to the humans on Earth. Clara has help from various family members and a few friends. Together, they slowly introduce these new things. There is much more to This Changes Everything but, I don’t want my review to be a spoiler. Read it yourself. Trust me, this book is not boring and is easy to follow if you don’t try to make it too hard. I highly recommend this book to all science fiction and utopias/dystopias readers. First, I received a copy of this book exchange for an honest review. I really did enjoy this book I thought it was intriguing, brilliant and it held my interest from page 1 until the last word. I love reading about Clara Branon, who was visited by aliens one night, and wow it got very exciting. I truly believe in aliens and other worlds so this book was a book I would have read anyways. The details that Sally put into this book were amazing, and if I could have given her more stars, I would have. If you like, sci-fi, fantasy and or aliens this is the book for you. I do recommend this book and I hope you try it because you won’t be disappointed. Well done Sally I look forward to your future books!! Well, this is certainly a different kind of read. This original story is written very well, with an unusual main charcter - one who is chosen as a facilitator of sorts between aliens and Earth. Some of it is first person, other parts from accounts - a very unusual mix and yet it works. An interesting and thought provoking read for those who enjoy something different. I really want to enjoy this book, and I am currently about half way through. I think the author's style of writing is very interesting, although difficult to follow. Reads more like a teenagers diary. I gave 4 and not 5 since it seems the author often throws in her own political stand points, ultra left wing and religious views which sometimes feel a bit pseudoscience. This book is written terribly. It is a shame because the concept is interesting. And I am even a fan of switching the perspective every chapter. But the author never takes the plot anywhere and it’s such a slog to get through. Far too many very long holier than thou lectures ... over and over again. The dialogue doesn't ring true in any way, in fact at first I wondered if it was translated (poorly) from another language. I could go on but life is too short. I couldn't connect with the main character, the story moved too slow for me and the way it was written made it impossible for me to get into the story. I just couldn't get into this book and read everything. I gave up but maybe I will try again later since so many people loved it! You can li Sally Ember, Ed.D., has been passionate about writing since she was nine years old. She’s won prizes for her poetry, stories, songs and plays. She began meditation in her teens. Now, Sally delights fans of paranormal and romance by blurring the lines between fact and fiction in a multiverse of multiple timelines, often including exciting elements of utopian science fiction and Buddhism. 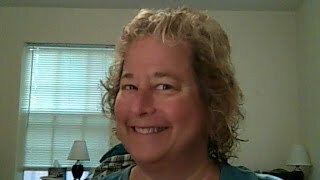 You can listen to/watch her 50 archived video talk show Episodes, *CHANGES* conversations between authors and change-agents about many topics which were recorded LIVE on YouTube: Sally Sue Ember is the channel. http://www.sallyember.com/changes provides more info, and guest list. Born Jewish on the cusp of Leo and Virgo, Sally's life has been infused with change. She returned to St. Louis in 2014 to continue to meditate, write, swim, read and be closer to family. She now teaches in a G.E.D. acquisition program for youth in the Hazelwood/Ferguson area. Sci-fi/romance/paranormal (psi)/ multiverse/ utopian/ speculative fiction books in The Spanners Series are getting great reviews. Volume I, This Changes Everything, ebook is permaFREE; print is $17.99 on CreateSpace. Volume II, This Changes My Family and My Life Forever, ebook is @$3.99;Print is $19.99; Vol III, This Is/Is Not the Way I Want Things to Change, goes into pre-orders for half-price @$1.99 11/1- 12/7/15 and releases 12/8/15 ebook is then $3.99; Print is $19.99. 7 others are in progress. Excerpts, reviews, interviews, blog and more on http://www.sallyember.com. Her Boards on Pinterest share a LOT more about her writing process, the series and her life: pinterest.com/sallyember. She is an active reader/reviewer on Goodreads and has her own Group: Ask Sally Ember. In her "other" professional life, Sally works/has worked as an editing/writing tutor and editor, a consultant and advisor, an educator and upper-level, nonprofit manager in colleges, universities and private nonprofits in New England, New Mexico and the San Francisco Bay Area.